Come Read At Eyeshot's Reading!!! Come read at our first reading! 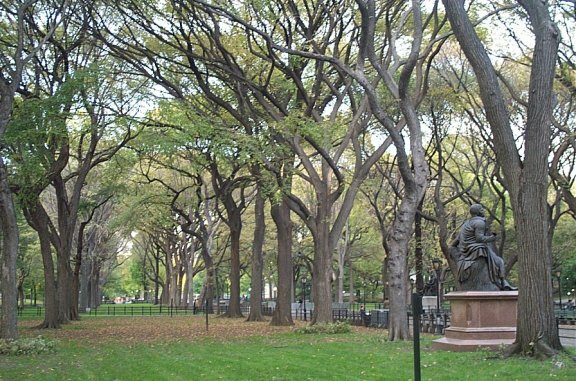 It will be at the south end of the Literary Walk in Central Park (around 66th Street or so, just east of Sheep's Meadow -- the area looks sort of like this in late October) promptly at 6:30PM on Saturday, May 10, 2003. It will be a free event. 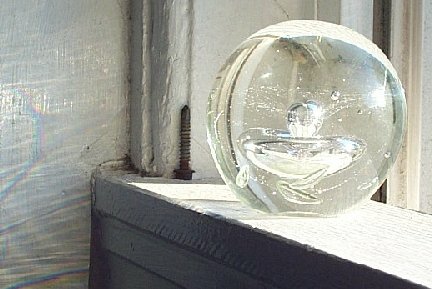 On May 10, 2003, however, we will have our first reading!!! And it will be a "silent reading"!!! "A silent reading?!?" you exclaim. "Well, I've got some questions about that, Mister . . ."
Q: What is a "silent reading?" Q: How will it be different than all those noisy readings? Q: Is this some sort of protest against something? A rally in favor of something? Q: May I wear a feather boa? Q: I'm not really a writer, can I really read at it?!? Q: Won't I look silly, sitting around for an hour reading with a bunch of people, especially in the primaveral air of early evening? Maybe we'll do this once a month until it gets too cold? If we do it more than once, maybe we'll change the location each time? By 2011, it'll be like that Critical Mass thing, but a little geekier and without any calories burned while riding bikes. But imagine everyone reading with everyone else for an hour in the middle of the streets: the rush of cities (cities! next we take Atlanta, then we take Berlin) stalled by millions sitting Native American-style, blocking traffic, silently reading things worth reading. It will be beautiful. It will be public introversion come to life. And it all starts May 10, 2003! And it will be documented! And you'll be there wearing a smile and a cheap feather boa! And when it's over, everyone will frolic in the Park! Or screw all that outdoors stuff and go get a drink somewhere dark and dank . . . Seating is not particularly limited. Please invite everyone you know. South end of The Literary Walk, Central Park, NYC. Again, this is a free event. Thank you.